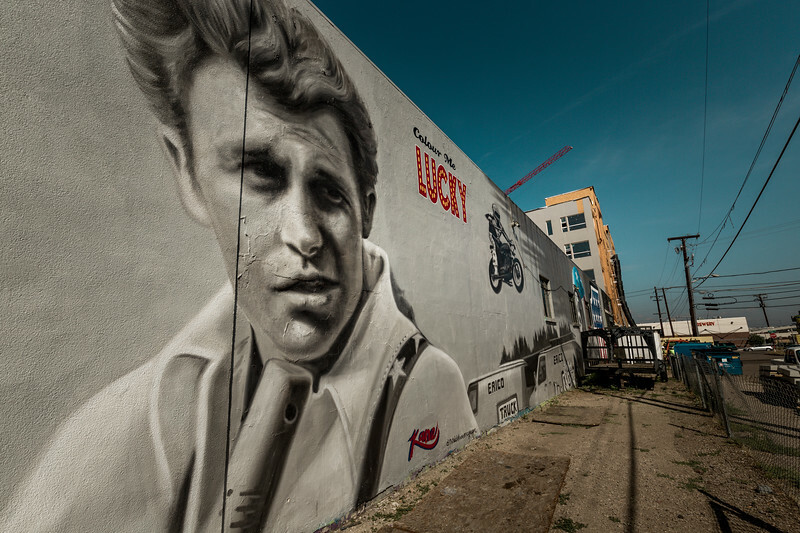 One of my favorite pieces of street art in Denver's River North section is this full wall dedicated to the late, great stuntman from my childhood, Evil Knievel. It's painted, appropriately, on the side of a motorcycle shop. 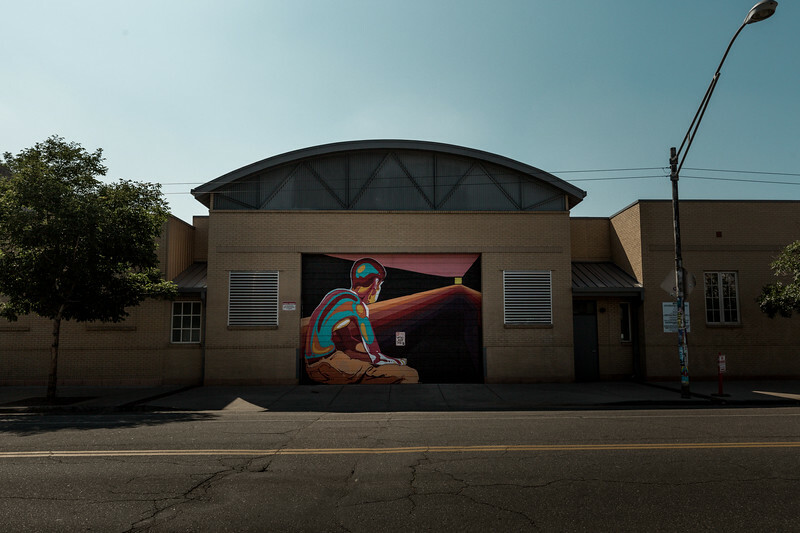 Just off the main street of Denver's up and coming RINO section is an alley decorated for blocks with amazing street art. This section jumped out at me for it's poster-like realism and social commentary. 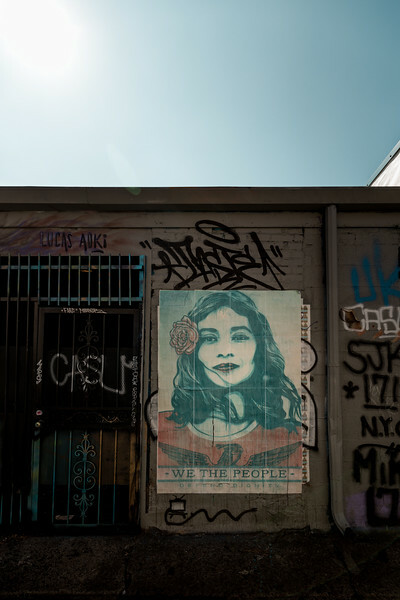 Street art is everywhere in Denver's River North section. 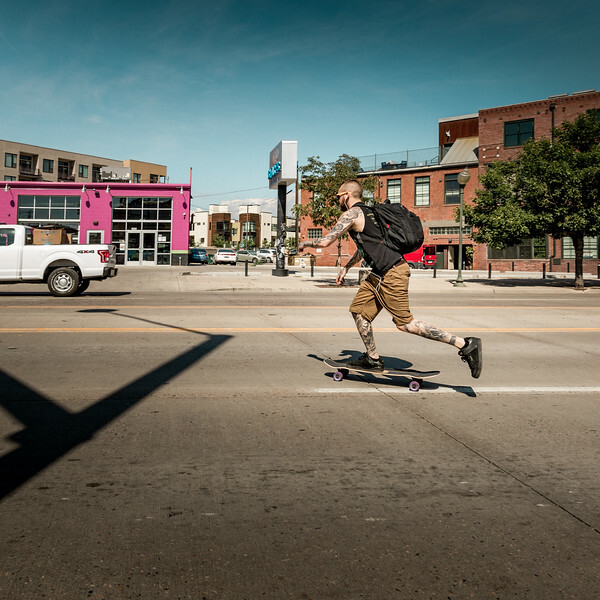 One of the most popular modes of personal transportation in Denver is skateboarding. 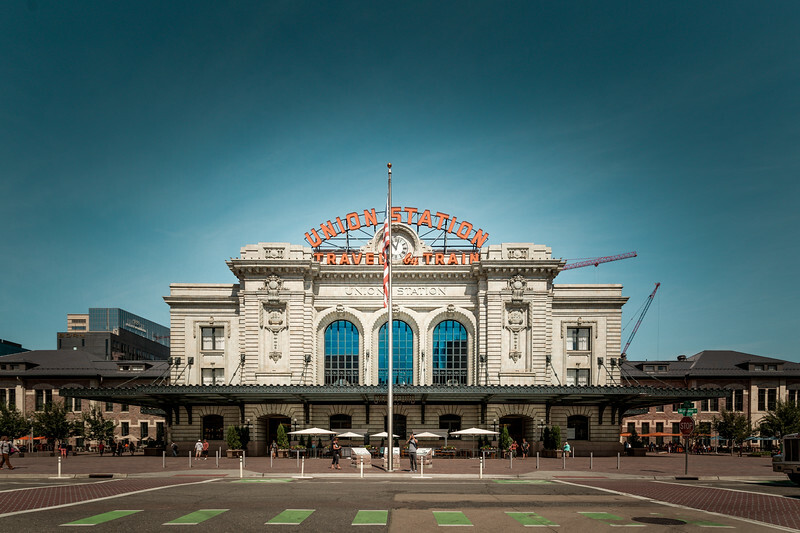 The famed cross country California Zephyr stops at this Denver landmark that is much bigger on the inside than it looks. 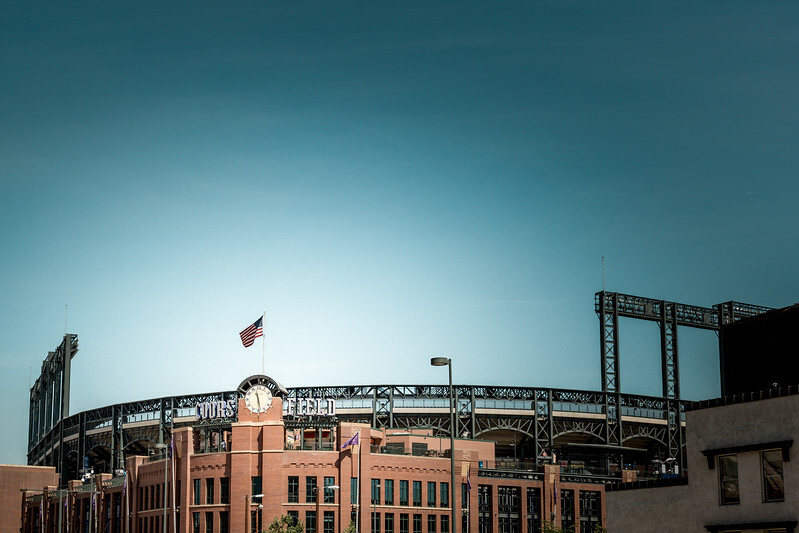 Coors Field, home of the Colorado Rockies and long flight baseballs. I encourage my children to be travelers, not tourists. But sometimes the tourist things can be a welcome thing. 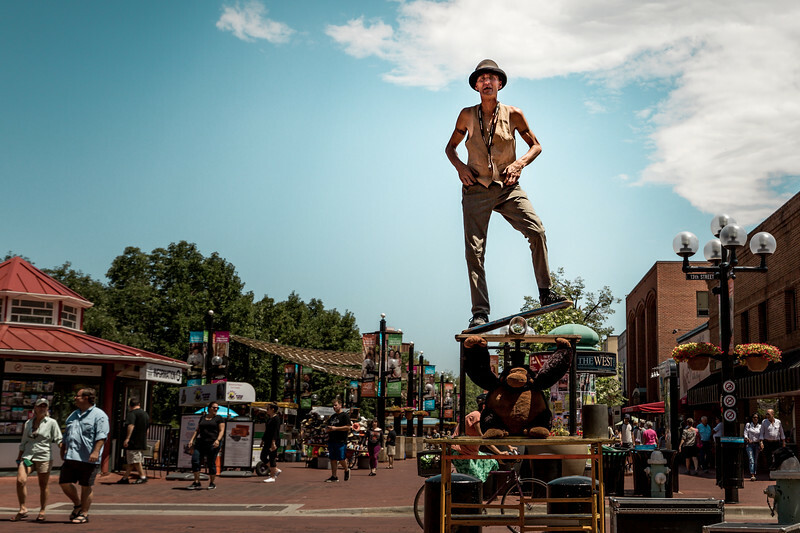 We spent some time watching this street entertainer on Pearl Street in Boulder. 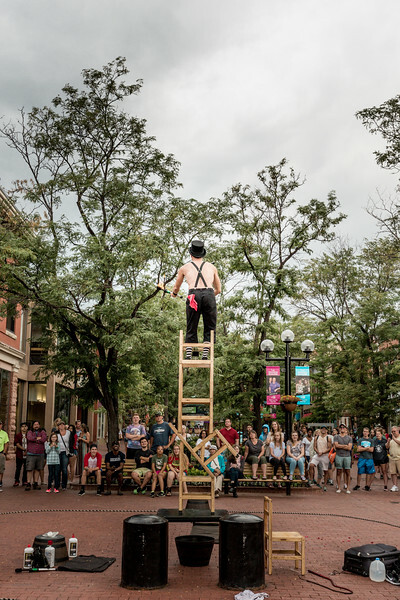 He possessed a wonderful mix of humor, acrobatic talent and stagecraft. 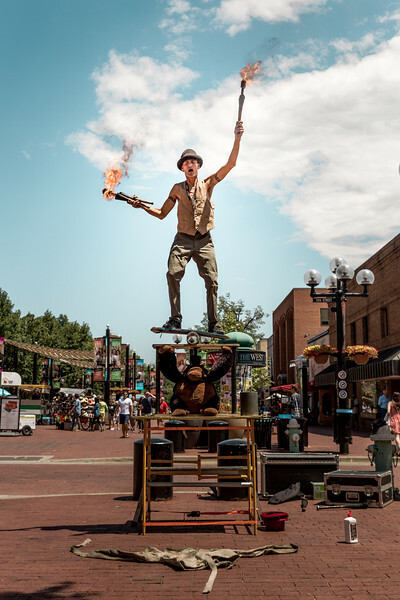 What better way to get the Pearl Street crowd going into your final act than juggling fire while balanced precariously 10 feet above a street of bricks? 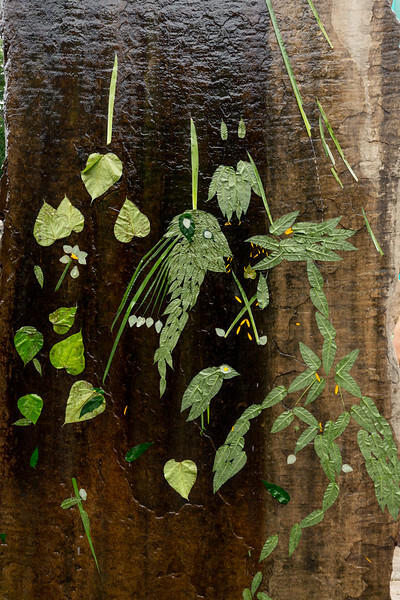 Plant leaves artistically arranged on a water installation on Pearl Street in Boulder. 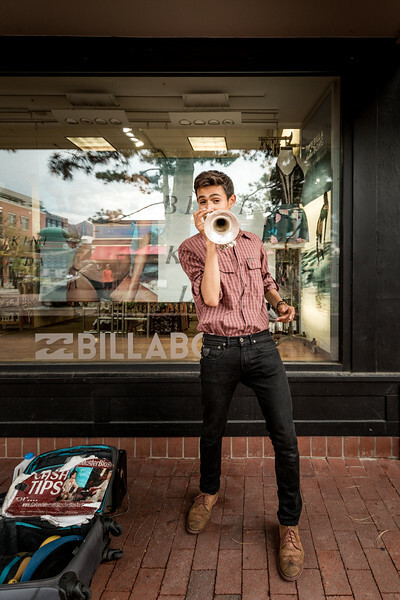 There's never a break in the entertainment on Pearl Street. 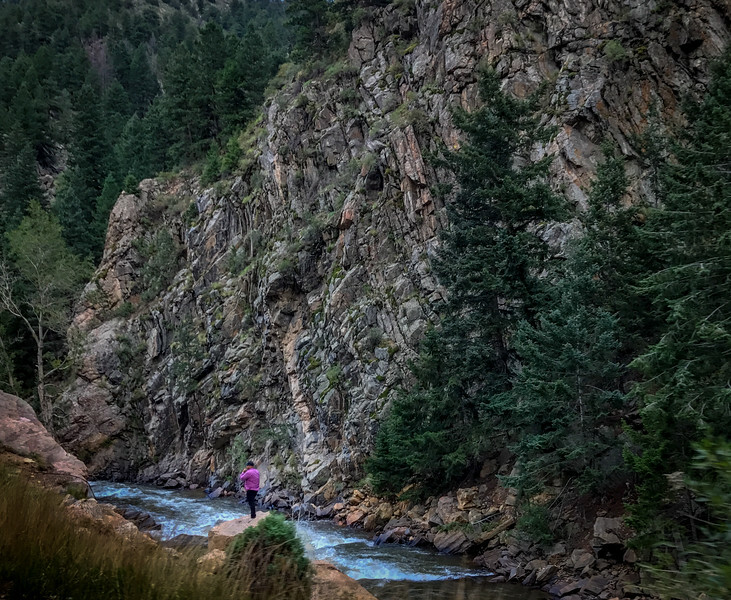 A bad accident shut down I-70, so we followed Clear Creek through the mountains to Golden. Caught this shot with my iPhone out the passenger side window along the way. 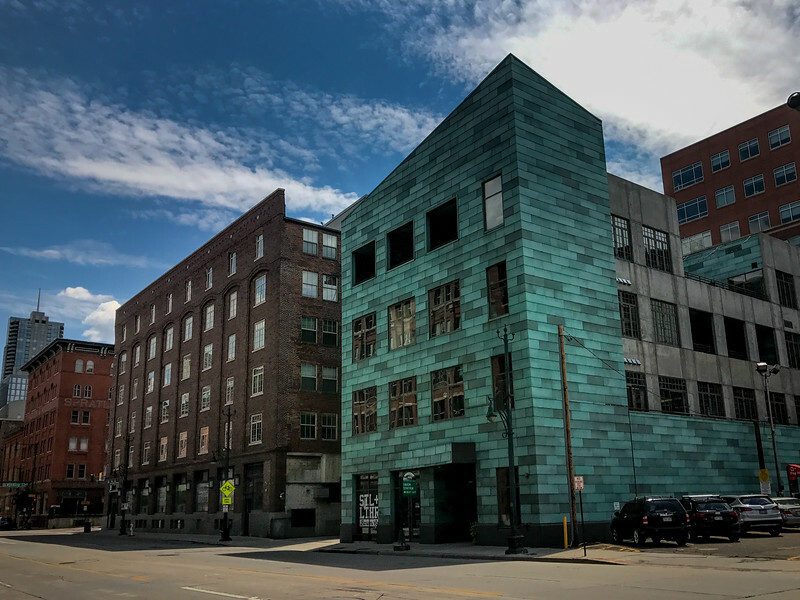 Saw this building on 15th Street just a few blocks from Union Station in Denver.